Top 3 Ways SEO Companies Burn Their Clients - SEO Eblog by SEO Advantage, Inc. When you first start researching search engine optimization companies, the information can seem a bit overwhelming, particularly if you’re completely new to online marketing. The situation is made worse by the fact that some SEO firms want your business so badly that they will embellish their expertise or leave out important details just to get you to sign a contract. We often take on clients who have been burned by these types of SEO companies, and we always ask what issues caused them to leave their previous firm. Here are the top three things we hear, and how you can avoid falling into these traps. As a client, you don’t just want to know that your search engine optimization company is bringing you links, you want to know that they are high-quality links. 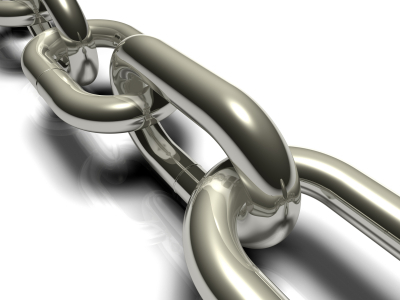 Your website is judged by the quality of the links coming into it. Before you sign a contract, ask your online marketing firm to show you some of the links they’ve created for other clients. Not all search engine optimization companies have on-staff copywriters and designers. While every company uses contractors at times, it’s important to work with an SEO that has skilled copywriters and designers on staff to evaluate and edit the work of those contractors. A lot of SEOs buy copy from the lowest bidder and use nothing but cheap templates for websites, and their clients end up paying. A good SEO company will put you directly in contact with the copywriter and designer who will be leading the content and design initiatives for your site. Some of the worst offenders in the SEO world count on clients’ lack of knowledge about the online marketing and search industries. We’ve even seen a few companies claim that they don’t “waste your time” with confusing reports. A good SEO will give you all of the information you ask for and then some. We provide detailed reporting for our clients, and we start doing so from the very beginning. The form on the right of this page is often our first contact with new clients. When you first begin talking with a search engine marketing company, ask about the type and frequency of reports, and make sure they can show you an example of the types of reports you will receive. We start by telling you exactly where you stand in the search rankings, and once we begin working together, we keep you apprised of every development on your path to page one rankings. One More Tip . . .
And finally . . . what’s the number one way to make sure you work with an SEO company that keeps your company’s best interests in mind every step of the way?